New Delhi: Quality health care services at the community level, without financial hardship, is fundamental to advancing universal health coverage, the World Health Organization (WHO) said Friday. A well-functioning primary care system that meets most of a person’s health care needs, throughout the life course, is central to universal health coverage, Poonam Khetrapal Singh, Regional Director of WHO South-East Asia, said ahead of World Health Day to be observed on April 7. “As a large share of outpatient care is delivered by private providers and financed by out-of-pocket payment, we need new approaches to address the double challenge of protecting people from financial exploitation and poor-quality care, while harnessing the private sector’s extensive assets,” she said. The theme of the day this year is universal health coverage (UHC) — ‘Health for All: Everyone, Everywhere’. In the WHO South-East Asia Region, UHC has been a flagship priority programme since 2014. The region has seen encouraging progress, with essential health service coverage improving in all countries, along with the availability of doctors, nurses and midwives. There is also growing inter-country collaboration to improve access to quality medicines through the South-East Asia Regulatory Network, Singh said. “However, more needs to be done as, despite progress, around 800 million people still lack full coverage of essential health services and at least 65 million people are pushed into poverty because of health spending, most of which goes on medicines,” Singh said. Identifying opportunities and areas where efforts are needed to advance UHC, the Regional Director said front-line services must adapt to emerging challenges – such as for continuing care for increasing numbers of people with noncommunicable diseases and health issues associated with ageing. 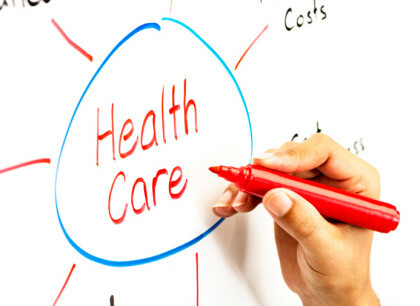 Primary care services should lead in preventing and treating disease. Community and local government representatives are key allies in building healthy communities. Digital technologies could be better leveraged to empower people and communities to look after their own health, she said. Lacking quality primary health care services allowing the poor to go to private sector which is also not up to mark in many . Universal quality health care for all will benefit and protect from becoming poorer .Access to quality health care must be provided by the government. It should be the citizens right !